A total of 350–600 huemul (Hippocamelus bisulcus) remain as fragmented groups along 1,850 km of Argentine Andes. Their conservation depends on accurate knowledge of the species' requirements and the factors preventing their recovery. The Regional Delegation for Patagonian National Parks (RDP) erroneously alleged that huemul status is satisfactory, and current in situ efforts are sufficient to guarantee recovery. Therefore, conservation centers are regarded unnecessary and the associated risks too high, especially because previous attempts with manipulations have failed. No data support these claims, instead many subpopulations have disappeared recently even in national parks (NP) which hold <0.01 huemul/km2. Causes preventing recovery or recolonization are unknown. Current pressures on huemul subpopulations include increased economic activities and alien species. Normal ranges for many biological parameters or population performance of huemul are unknown. Focus is on habitat studies using presence as surrogate for what should be studied on survival and reproduction. Factors important to small-sized populations or preventing recovery remain unstudied. RDPs insistence on indirect methodology prevents implementation of other potentially more promising research approaches. The lack of consensus regarding the necessity and feasibility of a conservation center prevented its establishment and related census flights in unprotected sites. RDP currently forecloses aerial census and capturing and thus prospects for a huemul conservation center, and the proposition of establishing such a center was neither discussed nor incorporated into the national recovery plan. 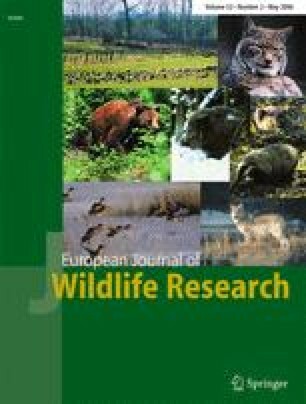 Helicopter captures have been used successfully on deer in huemul habitat. Captures and translocation of huemul occurred since 1830; several zoos kept them successfully up to 10 years, and natural tameness facilitated husbandry. Recently, Chile successfully caught and transported huemul by helicopter to stock a private center. Unknowns can be addressed easily on semicaptive deer; other questions can be studied through reintroductions, employing adaptive management. RDP places faith in NP providing viable subpopulations. However, it remains doubtful whether some 220 huemul living in >22,000 km2 of parks can guarantee species survival. For Argentine cervids, absence of studies and management plans due to lack of funds is typical. Considering the actual situation and future perspectives, it appears doubtful that recovery will be achieved based on strategies similar to those employed in the past. We thank colleagues from the following institutions whose insights have shaped our views: Center of Reproduction of Endangered Species in San Diego, Wildlife Pharmaceuticals, Turner Endangered Species Foundation, and the Eyes of the Wild Foundation. We thank the Wildlife Conservation Society, the Lincoln Park Zoo, the World Nature Association, but especially G. Langes, the Club Mil Rosas and Bodega Norton for supporting research on huemul. Bodega Norton also covered costs of the Argentine national recovery plan workshop, permitting that all stakeholder could unite. L.H. Carpenter kindly provided information on capture success. N.I. Díaz, G. Bubenik, U. Kierdorf, J. Marshall, A. Povilitis, S. Ranney, Dan Wharton, and several anonymous reviewers provided many challenging suggestions. We like to dedicate this work to the late Victor Arrechea, formerly superintendent of the Nahuel Huapi National Park, for his foresight to organize the National Recovery workshop for huemul.